As a freelance WordPress developer I work closely with customers to build websites that look good and rank highly. I build anything from small one-page local business sites to larger ecommerce & membership sites. I discuss your requirements & together we plan the look & layout of the site & the page content I will need. I get to work building your WordPress site with a focus on loading speed, mobile responsiveness & search engine performance. When the site is finished, I deploy it to the server & begin your 3 months free Enhanced WordPress Management. You probably know that your customers are searching for your business online and you may have heard people recommending WordPress as the best way to build your online presence. 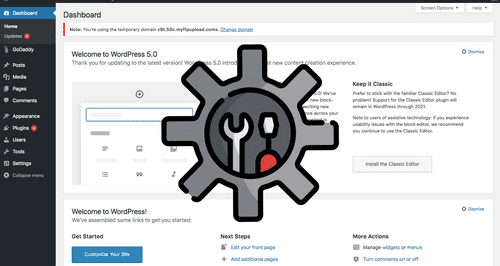 With 60,000+ plugins and 20,000+ themes to choose from you are probably overwhelmed with information about how to start building a WordPress site yourself. When I build a WordPress site all I need from you is the written content, product descriptions and any pictures or logos you want on your site. I then work with you to help plan all the pages you will need, the structure and the look and feel of the site. A fast loading WordPress site is not just important for user experience but also search engine ranking. I only use efficiently coded, fast WordPress themes and plugins. I also use page and browser caching to improve page speed even further. I host my WordPress sites on UK based cloud hosting, utilising the Cloudflare Content Delivery Network (CDN) to deliver your site as quickly as possible. I use my digital marketing experience to make sure your WordPress website is built to rank well in search engines. I use WordPress SEO plugins like Yoast SEO to help you rank for your most important keywords. I also install Google Tag Manager allowing me to easily integrate your WordPress site with Google Analytics and Google Search Console so you can see your traffic and conversions. All my websites come with one year of iThemes Security Pro to make sure your site remains secure. 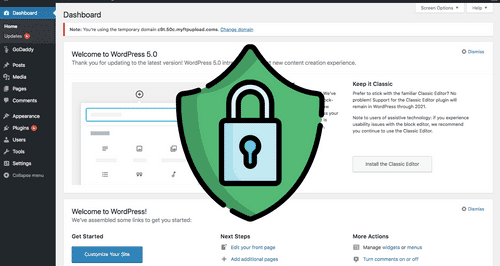 The iThemes plugin helps protect your site from malware, WordPress hacks, security breaches and more. Your security information is presented in an easy to use security dashboard that you can access whenever you need. 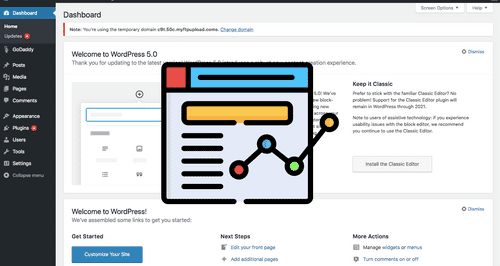 The WordPress dashboard gives you easy access to your website, allowing you to add new users, pages, plugins and more. 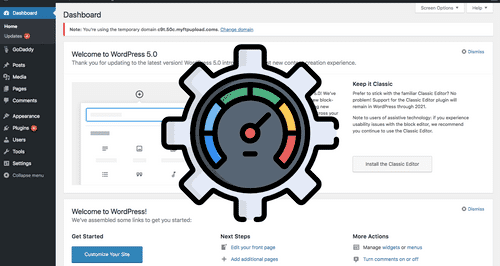 If you do not like the idea of being in charge of the upkeep and maintenance of your WordPress site, I include 3 months of Enhanced WordPress Management. This includes keeping your site secure and up-to-date, daily off-site backups, performance audits and more. Do you provide written content, images & logo design services? No, you must provide all content but I can recommend copywriting and logo design services.